Home Local News & Views SF Bay Area Hard Knock Radio needs your help! Throughout its more than 61 years of existence, KPFA has served as an outlet for diverse communities whose voices otherwise would not have access to the medium of radio and especially listener sponsored radio. The formation of the Third World Department in 1973 came after a bitter strike and walkout by programmers who felt that the voices of their diverse communities were not being represented at KPFA. The strike and lockout of 1999 was directly responsible for the establishment of both Apex Express, focusing on the Asian community, and Hard Knock Radio, a drive time hip hop public affairs show. These programs represented the culmination of months of struggle that included demonstrations, arrests and meetings by KPFA supporters. We are all painfully aware that KPFA is currently undergoing both financial and program challenges that threaten to dramatically affect the type of programming and staff that is part of KPFA radio. These challenges will require that the KPFA paid and unpaid staff work together as hard as possible to ensure the survival and growth of listener sponsored KPFA radio. The programs and programmers that represent diverse communities and communities of color can play a crucial role in engaging new listeners and broadening the base of KPFA. As programmers and staff of color who represent diverse communities, we are very concerned that programming and staffing decisions will be made without the type of transparent dialogue that best ensures our collective unity, survival and growth of the radio station. The use of the Arbitron radio rating system to assess the listenership of KPFA programs, especially those that might have a larger appeal to diverse communities, is flawed and not in the best interest of the growth and mission of KPFA. The programs and programmers that represent diverse communities and communities of color can play a crucial role in engaging new listeners and broadening the base of KPFA. It also gives validity to a system that was summarily sued by attorney generals in several states, including New York and Florida, and by urban outlets from all over the country because it has not reflected the diversity and full impact of minority communities. Why would KPFA, of all stations, use a tool with such a shoddy reputation? Flawed radio rating systems are not an effective tool to evaluate or build our audiences and programming. The attempts to arbitrarily change the 7 p.m. weekday time slot and the attempts to eliminate the host of Transitions on Traditions are specific examples of unhealthy and undemocratic process. We are alarmed that other major changes are being proposed that will eliminate programmers of color without a process where the programmer, a program council, union or any other internal KPFA body would be involved in the decision process. The potential elimination of Hard Knock Radio is a political insult to our communities and the mission of the Pacifica radio network. Hard Knock Radio has existed for more than a decade as the most prominent program addressing the hip hop generation and underserved communities. Its outstanding reputation is both national and international. 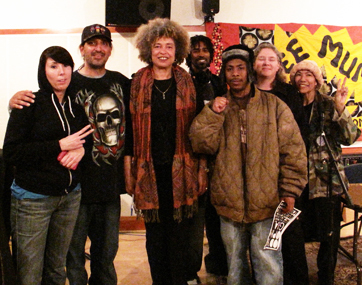 The programmers of color who work at KPFA have long standing contacts in the broader community and had have worked and supported KPFA in a variety of capacities. We are concerned that program changes for diverse programmers of color are being proposed and made as KPFA is in the process of selecting a new general manager and installing a new local station board. The programs that speak to our diverse communities include a wide range of public affairs, music, arts and news programs. These programs and their hosts provide multi-dimensional programs that include music, interviews, analysis, news updates and direct participation by our local and national communities. Programs such as Point of Departure, In Your Ear, Transitions on Traditions, Music of the World and the Women’s Magazine will be essential if we are to grow and build a new audience. An inclusive process that takes advantage of the wealth of skills and contacts that we have at the station will be essential to strengthening the station in all of our best interests. These programs are NOT simply music programs or single issue focus programs but represent in the broadest sense programs that reflect the diversity of the KPFA listening community. As we consider the “aging out” of public radio, we need to use all available tools to strengthen our collective mission. The voices of our diverse communities of color and gender should not fall prey to untransparent and undemocratic programming dialogues and thus face exclusion and elimination that would ignore the long history of the need for our voices to be represented on the airways. KPFA and Pacifica must continue to be media that is cognizant of the issues of race, gender and underrepresented communities. The best method for achieving this goal is to have a transparent, inclusive and honest set of processes that is respectful of our diverse communities and our collective struggle as a radio station. Under no circumstance should we see these diverse voices as expendable or less valued in our process of “restructuring.” Syndicated programs proposed management, however excellent, cannot replace these voices, which are deeply connected to grassroots struggles of underrepresented and marginalized communities in the Bay Area. The voices of our diverse communities of color and gender should not fall prey to untransparent and undemocratic programming dialogues and thus face exclusion and elimination that would ignore the long history of the need for our voices to be represented on the airways. Our communities have fought for, sacrificed for and worked hard for KPFA, and the station’s budget must not be balanced on their backs. They deserve and demand to be represented fairly and honestly. If we are to stand on principles of diversity and anti-racism, then those voices and those communities need to be treated with respect on KPFA and Pacifica airways. Hands off Hard Knock Radio! 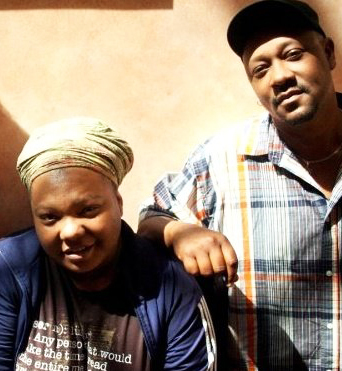 Hard Knock Radio, hosted by Davey D and Anita Johnson, is broadcast every weekday at 4-5 p.m. on KPFA 94.1 FM and kpfa.org, where archived shows are available for two weeks following their broadcast. Stop all attempts to replace local programming with syndicated content. Don’t replace Hard Knock Radio and Flashpoints with Michael Eric Dyson and Al Jazeera. Grow and maintain programming that prioritizes women and people of color. Expand programming that is more reflective of local community issues. Uphold Pacifica’s original mission with resources not rhetoric. Hard Knock Radio, Flashpoints and the First Voice Apprenticeship Program consistently fulfill the original mission of the Pacifica network by providing a venue for local artists to feature their work, activists to talk about local struggles, and women and people of color to gain access to broadcast journalism. Support equitable allocation of resources, leadership development and support. Paid and unpaid programmers are vital to the health of the station. We demand equitable allocation of resources and support to programmers, with an emphasis on leadership development, skills sharing and passing on those skills to emerging talent. Commit to representation and protection for all workers, paid and unpaid. All KPFA staff, paid and unpaid, should have access to union representation. Unpaid workers at KPFA are without representation, yet provide more than half of the programming on the air. For the past 61 years, KPFA has served audiences as a listener-funded progressive talk and music radio station. As a community outlet, women and people of color have fought hard to have access to the station’s airwaves. Let’s make sure KPFA and Pacifica management respect both paid and unpaid staff. Let’s make sure KPFA and Pacifica respect the rights of all staff. Commit to a local, visionary and inclusive approach to programming and the equitable sharing of resources. Next articleWhat’s happening at KPFA? This is what happens when there's a stupid union contract protecting tired old programmer's jobs over new employees. Old programmers said what they were going to say years ago, while great new shows and newer voices have to get fired first. It defies logic. Does anyone even listen to Flashpoints anymore??? The 15 year plus shows need to be axed first. Nonsense. Flashpoints is a vital show which has a number of voices. I hear words that this is all orchestrated to get rid of certain programmers who are galvanizing the Bay Area peoples power movement… Hardknock radio [and Block Report], Flashpoints… remember, we are seeing the biggest Power to the People movement since the 1970s, there are forces at work trying to stymie it.